Who am I and why should you care about my opinion of the Haunt event? Well you shouldn’t. I am just here to give you guys my opinion and my insight. I have been to 8 haunt events this October and I will be putting out reviews through out the next few weeks of each of my experiences. 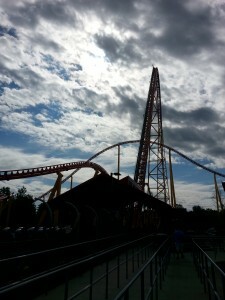 My visit to Kings Dominion this last October was not only my first time to experience Haunt, but was my first Trip to Kings Dominion, ever. 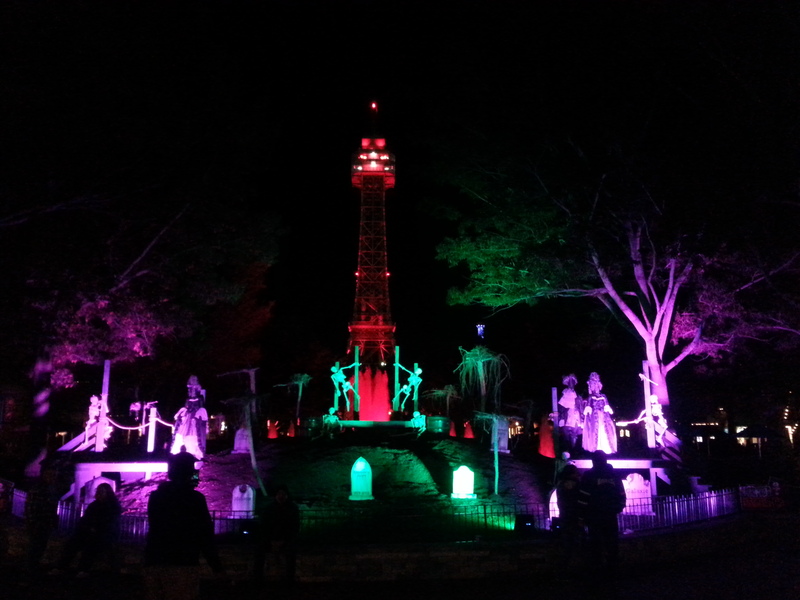 Not only did I get to enjoy the park during the day but was also enjoying the nighttime at the park with all the Haunt experiences the park has to offer. 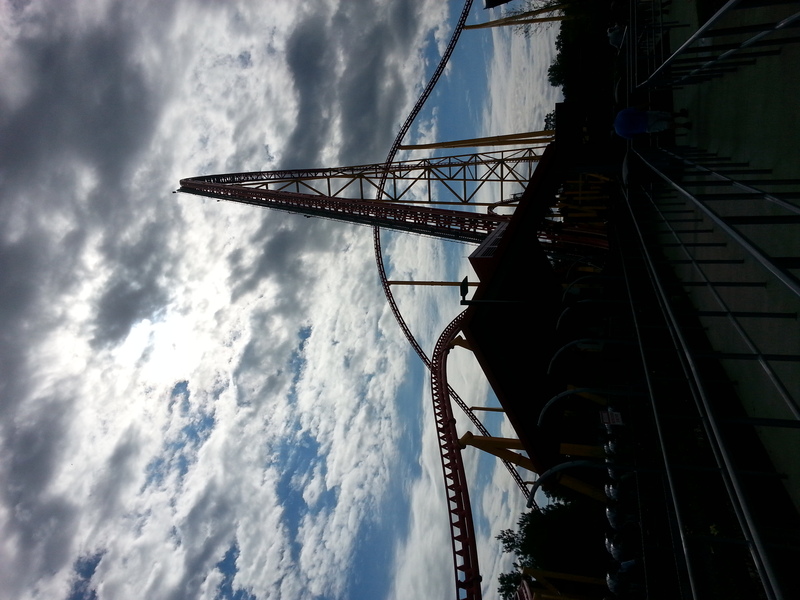 First, lets point out one tremendously great thing about Kings Dominion. Admission Prices. If you would like to attend Kings Dominion and also enjoy the Haunt evenings the whole thing will only set you back $35 on Fridays and $39 on weekends. That’s right. From 9am-midnight, including access to all the mazes is $39. Wow! Early in the Halloween season a group of people complained about a newspaper write-up promoting Howl-O-Scream at Busch Gardens Williamsburg and the use of a picture that showed some of the Halloween props being use at the event. The picture featured several severed heads in a pirate themed maze. After the complaints started coming in claiming that Busch Gardens was insensitive to the family’s of people who were being decapitated by a radical group in the middle east, the heads were removed from the park. We asked the In the Loop staff there feelings about these actions. Over the last two weeks I have had the pleasure of experiencing both Howl-O-Scream and Halloween Haunt on back to back days. The first weekend I did Kings Dominion on a Saturday and Busch Gardens on a Sunday, and the following weekends Busch Gardens on a Saturday and Kings Dominion on a Sunday. Each night was a different experience. I am going to break down each event by what they have to offer and rate those offerings. WARNING: There will be spoilers in this story! This season we have seen more and more parks start offering the NO BOO pass for there Halloween events. The NO BOO pass is a light up glow stick that hangs around your neck. When you are going in to a scare zone or house, the monsters are suppose to not scare you. We asked the In the Loop team there thoughts on the NO BOO pass. Radley Haunted House 2014 opens for the first time this season. Fans loved it as they entered Dr. Radley’s Nightmare Machine. This fantastic house is a real house located in a real neighborhood. Presented by Outside The Magic, the press release is below.